As more individuals make an entry into the Singaporean business world, small and medium scale enterprises have grown in number. While it’s remarkable that more SMEs are coming on board, these businesses encounter their own unique challenges in their quest for survival in this Asian Country. As more and more SMEs enter the scene, the financial constraints become even more glaring. 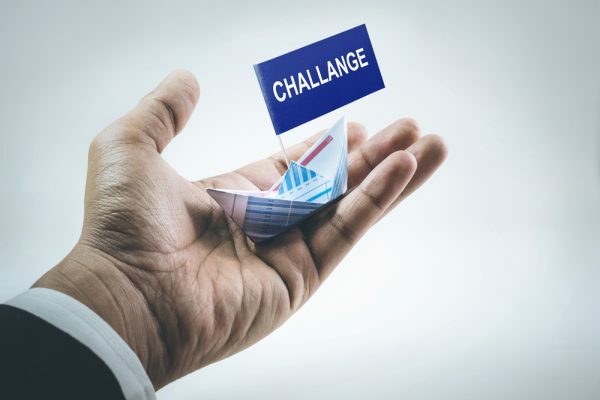 Most of the challenges faced are not solely founded on funding problems as poor management of financial resources has been fingered as the source of the problem in many troubled SMEs. Like many emerging markets, manpower appears to be in short supply in Singapore. More than 50% of SMEs in Singapore say they find it difficult recruiting people who share their enthusiasm about taking their businesses to a higher level. This has been shown to have a proportionate effect on SMEs in the Asian country as many of these businesses depend on technology and innovation to make any sort of headway. As the availability of willing employees dips, wage demands go higher, and many SMEs have to bear the brunt. Many of the SMEs in Singapore appear to be living in the past. They would rather make use of archaic methods in their businesses. While the rest of the world is going digital at a geometric rate, they have remained static without imbibing the use of technology to help their trade. Failure is often the outcome as is the norm with any business that fails to keep up with the trend. One of the many challenges to the progress of SMEs around the globe is a bulging overhead. There has been a gradual increase in rent for prime offices in Singapore over the last 4 years, and this only makes life tougher for SMEs in the Southeastern Asian country. Apparently, small businesses are doomed to improvising and managing whatsoever space they get. SMEs are considered the driving force of the Singaporean economy. More than 90% of enterprises in the Asian country fall within this category. As the government introduces stellar policies to support this category of businesses, startups become even more rampant. Many of the new entries have one singular objective – to dislodge existing competitors using distinct strategies. While competition is healthy, it’s not a rosy path to follow. Conquering the Singaporean Market requires a lot of effort, determination, and consistency. With the dawn of the digital era, a myriad of options are open to consumers leaving many small businesses struggling to survive. Many of these SMEs learn this the hard way as a lot of them shut-up shop within a few years. Our world as we know it is changing. And technology is measuring up. Singapore hasn’t been left behind in this transition, but some of its SMEs clearly didn’t get the memo. With the digitization of the business scene, failure to embrace technology and its accompanying tools is considered entrepreneurial suicide. Many of the SMEs in Singapore that are culpable have complained of the resources and manpower required to extinguish the possibility of going into oblivion. Every business requires cash flow to perform at an optimum level. If there is any decline in the flow of cash, the affected business stutters greatly. Since there are more SMEs than envisaged in Singapore, customers have become cunning. Many of these customers would stockpile debts with SMEs and would threaten these businesses with an end to their patronage if they put up any resistance. By having a substantial amount of money trapped in customer debts, many small businesses find it impossible to meet their obligations with their suppliers. Undesired friction and broken business relationships are the results. Surprisingly, many SMEs are afraid of evolving into something bigger. Those with this phobia believe that growth can put the strong footing of their operations into disrepute. There’s that strong sense of mistrust which entrepreneurs in Singapore have for their hired hands. They believe if they scale-up their business, employees at the center of operations can sabotage their effort leaving them in ruin. While government policies are attempted at supporting SMEs, the rising inflation doesn’t help. And as inflation rears its ugly head, interest rates from the financial sector follows the trend, and small businesses at the receiving end. One of the repercussions of this situation is the dwindling cash flow available to SMEs. To stay afloat under such crippling conditions, businesses have to think outside the box and be one step ahead of the pack. An entrepreneur might have all the right ideas to make his business grow. He could do all the hard work to make his dream a reality. But if customers are not forthcoming, he is considered to have failed. Many SMEs in Singapore fail not for any fault of theirs. The modern-day customer is smarter, but this doesn’t commensurate to a higher purchasing power. Currently, customers in Singapore are no longer cutting their cloth according to size but budget. This has left many small businesses in limbo especially as customers are not patronizing them enough for their establishments to break even. While hiring a capable employee is considered a challenge in Singapore, finding one that is super motivated about his job is even more difficult. The problem with having an unhappy employee is the lackluster effort he brings to the table and the stress he adds in the overall management of the business. The situation is akin to pouring water into a basket. Regardless of the approach you take, it wouldn’t just hold. While having core values are efficient at putting employees in sync with what you stand for, making them happy is a more effective way of getting the best out of them. Regardless of the challenges which SMEs face in Singapore, the survival of small businesses isn’t apocalyptic. By embracing the use of technology and coming to terms with their environment, small and medium scale enterprises can evolve into conglomerates in the nearest future.